Sorry, this is not that pleasant. 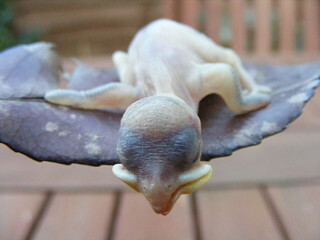 In the space of three days I found two dead baby birds in the garden. I knew we had a nest in the guttering but I now suspect we have a cuckoo who is pushing the young from the nest. Both baby birds were given a decent burial. Boo. So tiny.